2D Fighter to Make Public Debut with Cash Prize Tournament! 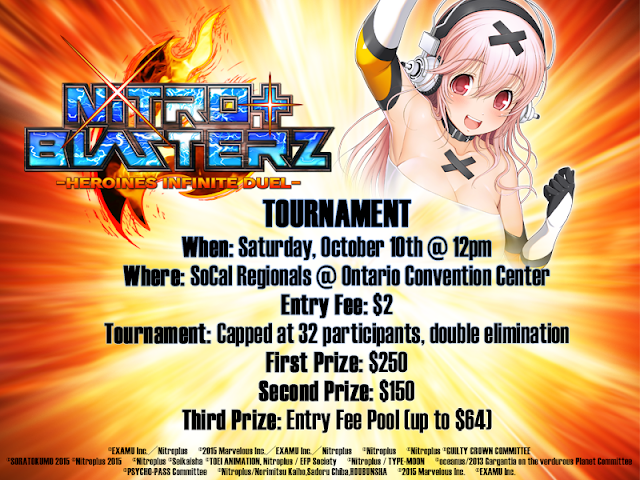 XSEED Games, the independent-minded console publishing brand of Marvelous USA, Inc., today announced that it will be showcasing its 2D Fighter Nitroplus Blasterz: Heroines Infinite Duel at the SoCal 2015 Regionals Main Event beginning tomorrow, October 9 through October 11 at the Ontario Convention Center. Nitroplus Blasters will be making its public debut with opportunities for casual play, a cash prize tournament and more. 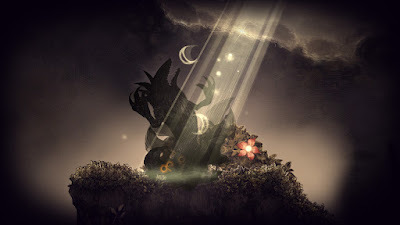 The trailer packed with fast-paced combat can be viewed below. 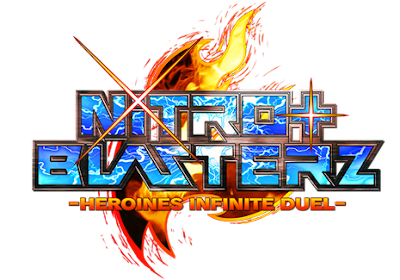 The Nitroplus Blasterz: Heroines Infinite Duel tournament format is a Best 3, double elimination and will be limited to 32 competitors. The Prize distribution is as follows: 1st place - $250, 2nd place - $150 and 3rd place - $64 (or a total sum of entries). The entry fee is $2. In Nitroplus Blasterz: Heroines Infinite Duel, players will select a main character – including SUPER SONICO, who will be playable for the first time in this console release – along with two partner characters from an array of Nitroplus-related products. Between the easy-to-execute combos, cinematic cut-ins on “Lethal Blaze” attacks that run the gamut from awe-inspiring to adorable, and assist mechanics that allow for up to six onscreen characters at a time, the development team at EXAMU – best known for their work on the popular Arcana Heart series – ensures that combat stays fast and flashy. Once players master the basics, they can see how their skills stack up online against other network players, with full cross-play on offer between PlayStation®4 and PlayStation®3 users. Developed by EXAMU and published by XSEED Games, Nitroplus Blasterz: Heroines Infinite Duel is scheduled to launch this winter in North America exclusively for the PlayStation®4 and PlayStation®3 systems. This title has not yet been rated by the ESRB.